One approach of using pglogical to switch from 9.6 to 10 in ‘just a few seconds’. One of the more exciting new features in Postgres 10 is declarative partitioning. This can make it easier to scale to ‘big data’ volumes. A thorough, Postgres-flavored exploration of window functions, ideal if you’re not particularly familiar with them. When it's critical, you can count on us. 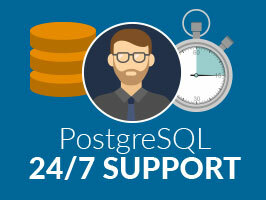 Who better to support your database around-the-clock than the experts who developed the PostgreSQL features you're using? We guarantee a quick database recovery with as little downtime as possible. A post inspired by the one above but which takes a different approach, not involving dumping and restoring tables. These releases fix three security vulnerabilities, and patch a few minor bugs. A way to find the most frequent input value in a group. \copy is a mechanism for you to bulk load data in or out of Postgres. A run through combinations of disaster recovery and high availability processes/architectures that you can use with PostgreSQL. Get a Linode server up and running in seconds. Get $20 credit on a new account. The new version includes a debugger for PL/pgSQL functions.